There are 161 million Americans who don’t ride bikes. 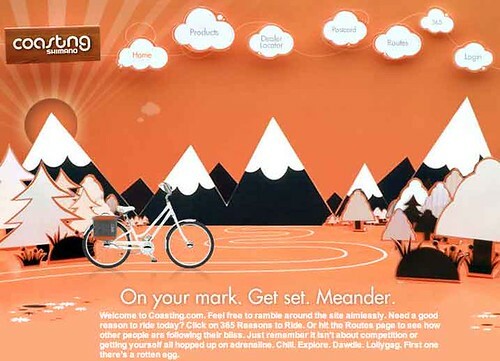 Shimano saw it as a market opportunity, so they hired IDEO to find out why. From spending time with non-bikers, IDEO discovered there were a number of attitudes and beliefs these non-riders held, that had become barriers to them ever getting on a bicycle. To overcome the barriers, Shimano went off and created a new category, Coasting. It’s basically a new carefree philosophy built around meandering around on a bike. Manufacturers have responding and have produced special bikes with automatic “transmissions”, like Trek’s, new Lime. 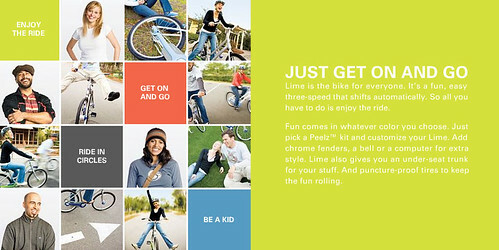 Bike manufacturer Trek is hoping to sell 26,000 Limes this year.